Deliver Self-Sustaining Mechanisms i.e. "Train the Trainer"
Sheri Stolp, PHR, is a published author, speaker, coach, trainer, and founder of The Stolp Group, Inc. Encompassing 15+ years of human resources management experience within various Fortune 500 organizations, Sheri can best be described as a skillful and creative business partner, focused on providing customized solutions that help companies markedly improve their bottom line. The Stolp Group’s consulting strategies center around climate assessment utilization, executive onboarding, and specialty leader workshop facilitation. One of Sheri’s greatest passions is to maintain union-free workforces, where she partners proactively with clients on developing and fostering respectful workplace cultures. She has extensive experience in employee retention, turnover improvement plans, meeting facilitation, teambuilding, safety improvement plans and individual performance management. The Stolp Group offers clients many services including HR auditing, Sensitivity Training, Employee/Opinion Surveying, Climate Assessments, Onboarding Strategies, One-on-One Leader Coaching, Management Training and many other client-requested projects. 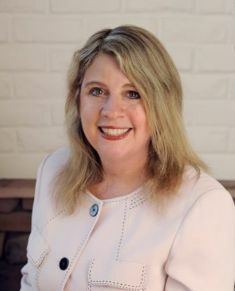 Sheri’s credentials include earning a Masters in Business Administration (MBA) from Cardinal Stritch University, as well as a Bachelors in Business Administration (BBA) from the University of Wisconsin-Milwaukee. She is a member of SHRM and HRP, and is HR certified through HRCI. Being an adjunct professor for CSU’s accelerated MBA program, Sheri also facilitates coursework in HR and Ethics Management at the master level. Additionally, she is a certified administrator for DDI, Lominger and Achieve Global and presents at various conferences and seminars including the upcoming Global Talent Management Summit in Chicago on August 27, 2008. Sheri launched The Stolp Group to provide growth-oriented organizations with unparalleled strategic HR direction and support. Today, the organization services clients with 20-10,000 employees from around the globe, providing cost-effective, innovative HR solutions to fulfill your unique needs. Through the years, I've had the opportunity to work with Sheri on several occasions in a variety of capacities - focus group facilitation, developing effective employee relations strategies and leadership training for executives and high potentials. In every capacity, I've found Sheri's abilities, expertise and performance, exceptional. Recently, Sheri developed, designed and implemented an outstanding leadership development program for a major healthcare client. The program design and content was highly creative. Moreover, her presentation style was both engaging and entertaining - ensuring the leadership team, as well as the entire organization, would benefit from the investment. I would highly recommend Sheri for any human resources and organizational development needs.